Well this wasn't in the Highway Code when I took my driving test. 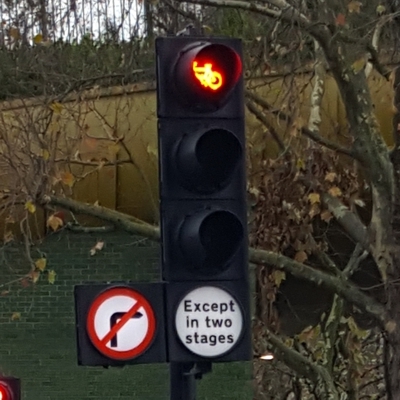 I think, should I encounter one while on the road, I'll interpret it as meaning "no right turn ever". It'll be safer for all concerned that way.